Osmanabad is one of the eight districts of Marathwada having population nearly 0.16 crore, out of which 80 percent population resides in rural area. The percentage of literacy in Osmanabad district is 76.33 per cent, whereas rural literacy rate is 51.23% and urban literacy rate is 71.06%. As the literacy is less than surrounding districts, it is declared as a backward district by State Government. Many international organizations are attempting to help the rural families in increasing their agricultural output. The economy of district is mostly dependent on development of agriculture. Osmanabad district lies in the southern part of State and includes eighttalukas viz., Tuljapur, Bhoom, Paranda, Omerga, Kallam, Washi, Lohara and Osmanabad. The elevation of district is 600 m above sea level. The district is located on east side of Marathwada region within North latitude 170.35 to 180.40 N and East latitude 750.16 to 760.40 E . The area of district is 7569 sq. km out of which 241.4 sq km is urban area (3.21 % of total area) and 7327.0 sq km is rural area (96.79 % of total area). Both Kharif and Rabi crops are taken in the district. Main crops are Soybean, Red gram, Sugarcane, Grape,Gram, Rabi Sorghum, Wheat etc.The University headquarters are located at Parbhani. 210 km to the north of Osmanabad. 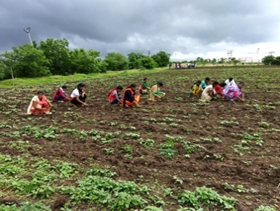 College of Agriculture, Osmanabad was established with the primary objective of providing higher educational opportunities to the students aspiring agricultural education.This being a constituent College of VasantraoNaikMarathwadaKrishiVidyapeeth, Parbhaniis striving to aid, impart and coordinate agricultural education to develop quality human resource in the rural area. As such it is catering the need of Agricultural Education of the young graduating student across Maharashtra and other states. The university has provided comprehensive facilities to the college in terms of institutional support, highly qualified academic, technical and supporting staff, buildings, laboratories, farm, farm facilities and financial support. The college is situated at the outskirt of district head quarter near the airport and supported by state infrastructure, providing the right environment for learning. Since its inception, the college has aimed at imparting quality education to rural students from economically and socially depressed classes, and providing value based education to ignite young minds to become responsible agrocrats. The institution believes that education is the most important element for growth and prosperity of a nation. The college through its journey has progressed on various fronts in a systematic manner. There has been immense improvement in the college infrastructure, in adoption of better teaching-learning processes and involvement of the faculty in education and extension. Emphasis is laid on the overall development of students and various steps have been taken to give the community a global edge. This includes balancing academic and co-curricular activities and offering various opportunities to students for molding their personality. The college gives importance to gender equity and insists on representation of women at various levels. The college has been made proud by various achievements of the students who have successfully landed with good jobs. 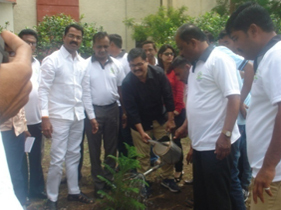 College of Agriculture, Osmanabad is an institution funded and managed by Maharashtra State Government through Vasantrao Naik Marathwada Krishi Vidyapeeth,Parbhani. The college has a clear vision, mission and objectives for qualitative development in agricultural education. To provide higher agriculture education. To fulfill the regional demand of agriculture graduates. To make available Agri. 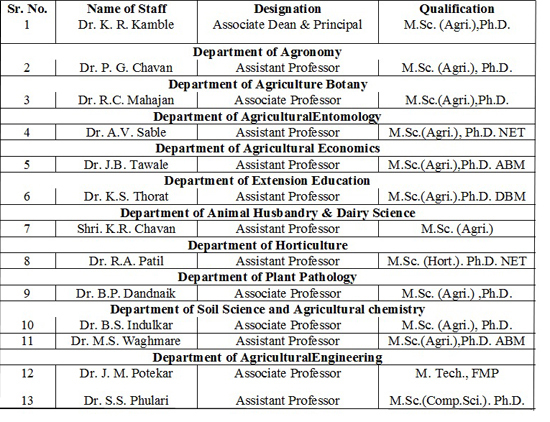 technocrats for regional agricultural development. To train the rural youths and encourage self employment. To generate the skilled human resource for agriculture development. To encourage and develop self-confidence and technical skill in today’s student to start and initiate self employment in agriculture. To conduct fundamental scientific research and to develop applications of agriculture. To develop advance agriculture technology for increasing the livelihood of poorest farmers in region. To provide technical advice and guidance to the rural community in the region. As per the norms laid down by ICAR all faculty members are implementing the required teaching load efficiently. Since establishment total 429 undergraduate students completed the degree from college. Statement showing the number of students admitted and completed the degree programme is as under. 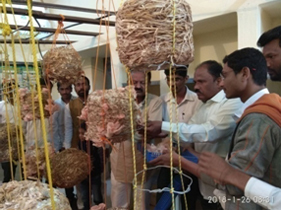 The exposure visits for studentsREADY/ RAWE/ Experiential Learning modules students are organized to various seed industries,cooperative society’s, fruit processing units, etc to encourage them for self employment. 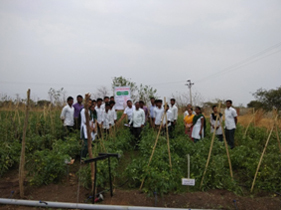 Teaching staff of this college is actively participating in different extension activities like farmers rallies, group discussion, spot guidance, method demonstration on IPM, IDM, seed treatment, preparation of bordeaux mixture, germplasmcollection,rouging, etc. 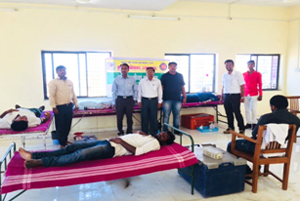 Faculty members of this college also participated in the programmes and farmers rallies conducted by State Agriculture Departments and extension staff as subject matter specialist. The college is housed in a specious building having 5700 sq. mts of built up area. College is having 04 UG class rooms with new furniture with a capacity to house nearly 100 students. All rooms have been equipped with LCD projectors. All ten departments have well equipped laboratories which are developed over years having modern facilities for both basic and applied research with specialized facilities for Social Science and Agricultural chemistry, Agril. Entomology, Plant Pathology, Agril. Engineering, Agril. Botany, Horticulture is available. College is having total farm area of 65.00 ha. under dry land agriculture, horticulture plantation and garden etc. Farm facilities are fairly developed and utilized for crop cafeteria demonstrations, experiential learning programme and seed production etc. 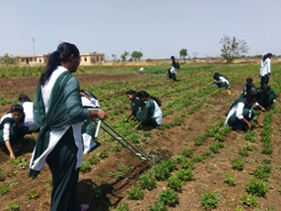 The other farm facilities like threshing yards, farm ponds, irrigation tank, sump-well, tube well, various farm equipments, micro irrigation facilities, polyhouse facilities are being utilized for instructional purpose. 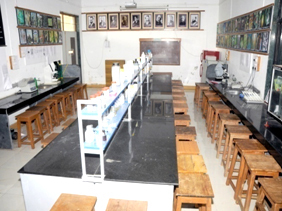 The college has excellent teaching faculty, all of them involved in teaching, research and extension.All the departments have well equipped laboratories with well equipped facilities, students are actually involve in conducting practical’s like, preparation of milk products, budding, grafting, nursery management, sterilization of media, seed production, soil analysis identification of insect pests, etc. 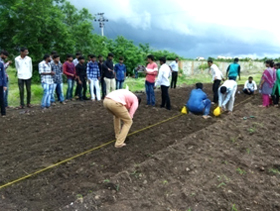 The students are being exposed to hands on training during RAWE programme and experiential learning programmeslikeCommercialbroiler production,commercial cultivation of vegetables and mushroom production etc. Practical classes ensure the development of skillsbased on theoretical knowledge, field studies/visits, industry visits, study tours, student READY programme and ELP ensures skill development in relevant subject. As per the directives and recommendations of the Hon Supreme Court and UGC, “Anti-ragging committee and Vigilance committee” have been constituted for every year to tackle themenace of ragging and curbing the same in the college. The committees regularly monitor and prevent any disastrous incidents pertaining to ragging amongst the college students. These committees enquire judiciously and recommend constitutional punishment to the guilty students in case of ragging incidences. 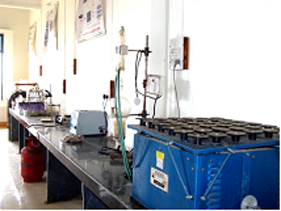 Well equipped laboratories of all disciplines are available in college building, wherein the practical are conducted for UG students to get the knowledge of that particular subject which is useful to the students for building up career in agriculture. 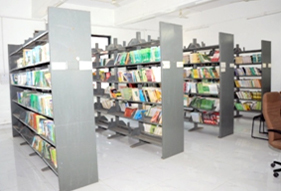 The library is situated in the main building of the College to facilitate quick access of library facilities to students and staff. Internet facility is available in nearby computer cell. The library opening hours are from 9:00 am to 4:45pm. It has theseating capacity of 75 students. However, the reading room is open round the clock. The books available in the library during the year 2017 - 18 are about 5398. 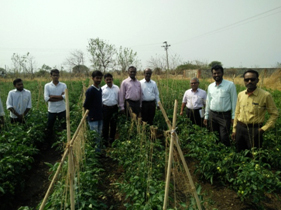 The instructional farm is divided into different sectional plots like crop improvement and production, experimental plot, crop protection experimental plot, crop cafeteria, demonstration plot, horticultural plantation and polyhouse cultivation. This College has Yoga Park where regular yoga sessions are held with participation of students of this College for integratingthe educational and health aspects of the students. The Admission process of the college is online. The admission of all four SAU’s is conducted and centrally supervised by Maharashtra Council of Agricultural Education and Research, Pune through KTPL. From the year 2018-19, students will be admitted through MHTCET conducted by Maharashtra Government. 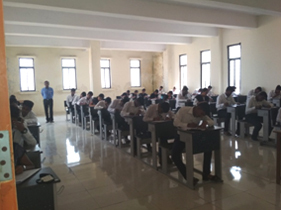 There is separate examination cell for conducting examinations in this college.The evaluation of student is through examinations for the coursethey register. Final theoryexamination paper is set at MCAER level. Mid-term examination isconducted by concern course teacher after completion of 40% syllabus.20 % is internal evaluation through conduct of midterm examination and 80 per cent is external evaluation. 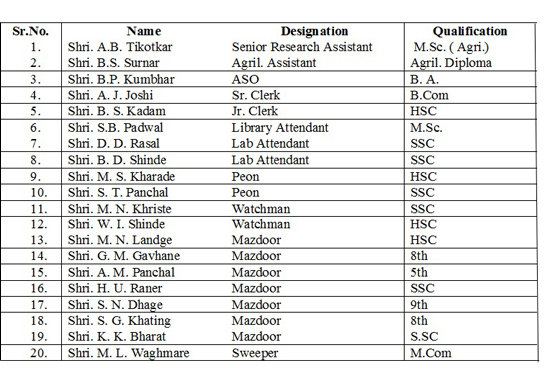 This college has one NSS unit with intake of 60 student volunteers and one programme officer. The scheme is sponsored by Govt. of India, Dept. of Youth affairs and Sports, Ministry of Human Resource Development. 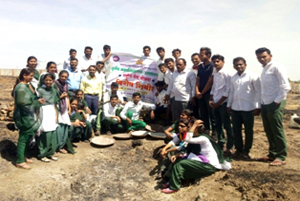 Following activities were carried out under NSS. 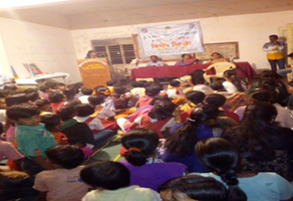 Regular social service under which volunteers has to complete 240hrs during two years of registration.Special camp programme in which volunteers live in village for seven days and work for the social and civic activities. 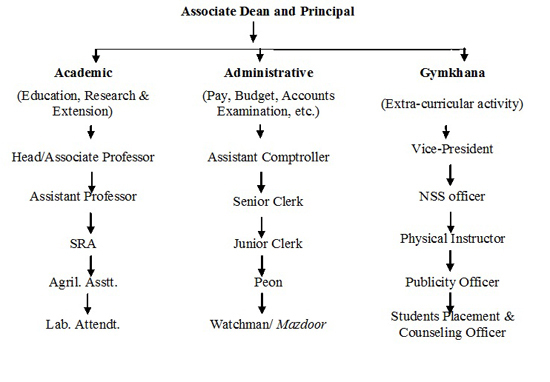 A language laboratory is created in computer cell. Language phonetic software is made available to the student for proper pronunciation of English and other foreign languages. A cultural center is available in college building with a specialroom. It has music instrument like harmonium, tabla, sound amplifier, speaker etc. The students are encouraged for instrumental and vocal music. 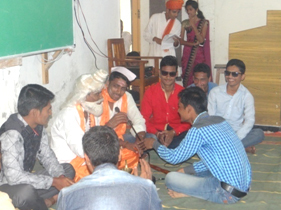 Cultural programmes are arranged as per demand and availability of student participant. 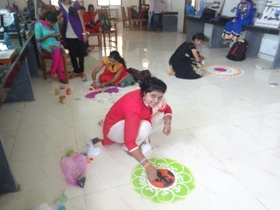 The student uses this cultural center for their interaction and other social activities and celebrations. Canteen is available at this college campus. There are two hostels available in the college campus. One is for boys and another one is for girl’s student. The capacity of boys hostel is 96 students while the capacity of girls hostel 51.In one room three or two students are staying. This room has got self contained washroom. There is mess available in both the hostels, with aqua guard facilities. Both the hostel has common Hall for recreation purpose having T.V. set. The hostel corridors and premises are cleaned daily by the concern workers. The student uses their own transport facility to visit city for their personal purchases. For emergency medical facility college Jeep is made available. Primary Health Centre is just within a limit of 8 km from this college. Outdoor and indoor game facilities are available at this campus. There are two sport grounds. One is for boys student and another is for the girls student. Sports grounds are just near to boys and girls hostels and has Volleyball, Kho-kho and kabaddi grounds for each of them. Cricket ground is also available for boys. For Indoor games a big hall is available with sufficient space which has table tennis, chess and carom facilities which are used by boy’s and girl’s students. These sport facilities are used by the student for practice for participation at State/University level. 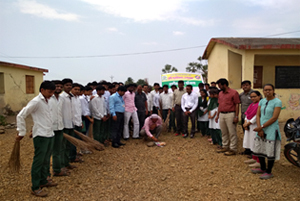 The teachers are assigned for each sport activity to the students who look after their need and demand. Funds for most of the sport and recreation facilities including cultural week and gathering are provided from the college gymkhana fund. 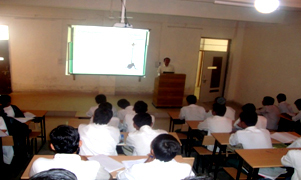 The college has seminar hall which is used for special programmes. 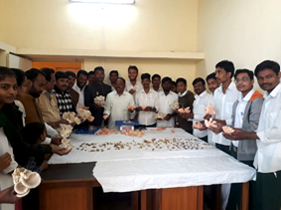 The college has established a museum which house the varietalseed samples, charts of cultivation technologies, models, display board, screens, prototype ofinstruments, bio-agents and bio-fertilizers which are helpful for thestudents and visiting farmers. Students placement cell is established and is working towards students counselingand placement in different organizations.